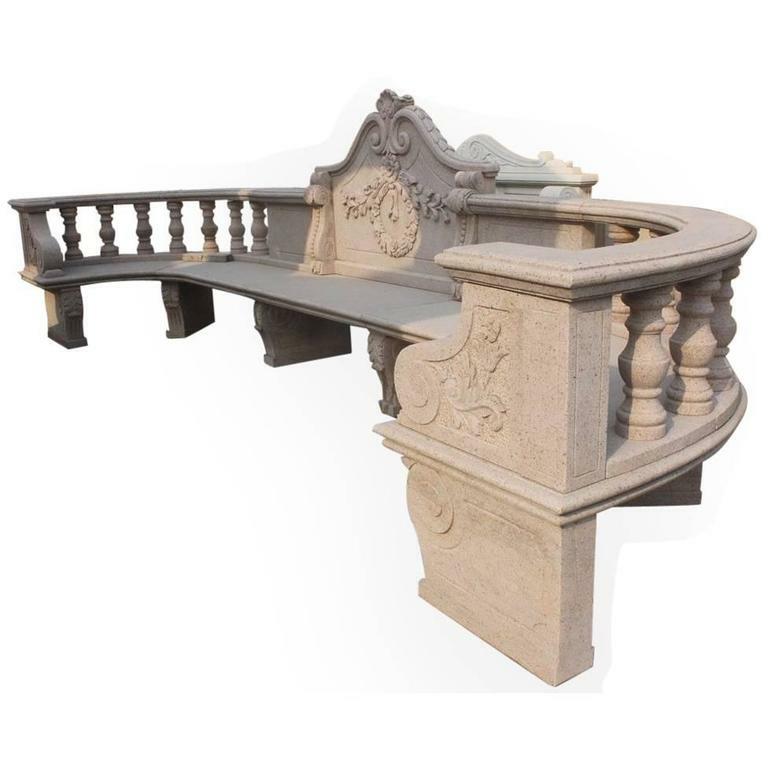 Measures: Width 5 m 16 1/2 ft Depth 145 cm 57 in Height 143 cm 56 1/4 in Composition granite Style classical style Superb very large carved granite crescent shaped seat Classical style with fine detail N.B. very heavy There is a six week lead time on delivery for this item Free UK mainland delivery. Please enquire for overseas delivery costs. Fantastic crescent shaped planters by Willy Guhl. Great for window sills and narrow walkways. Flat back with curved front. Only 3 still available. Priced individually. Wonderfully ornate wrought iron garden bench. The bench has a weathered patina with distressed paint finish but it's structure is excellent. The reduced price is the final net price. Antique wrought iron and granite dining table. Base is handmade. Table is strong and solidly built. Made circa 1910. Table may be used indoors or outdoors.